See the photo walk-through of this project on flickr. 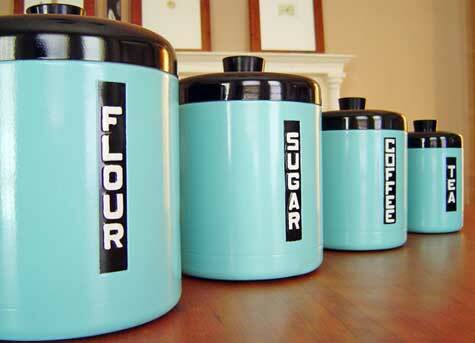 Looking to spruce up an old set of canisters? Want to turn those blah-ones you picked up on sale into a retro-wonder? This walk-through on flickr (username: ignutzz) tells you just how to do it. You’ll need tape, primer and paint, along with a well-ventilated area. Now you can show off those storage containers in any retro color you desire. Be sure to post me the pics when you’re done!